Carved wooden street sign, made in the style of the actual 'Stockbridge' street sign found on the bridge over the Water of Leith. 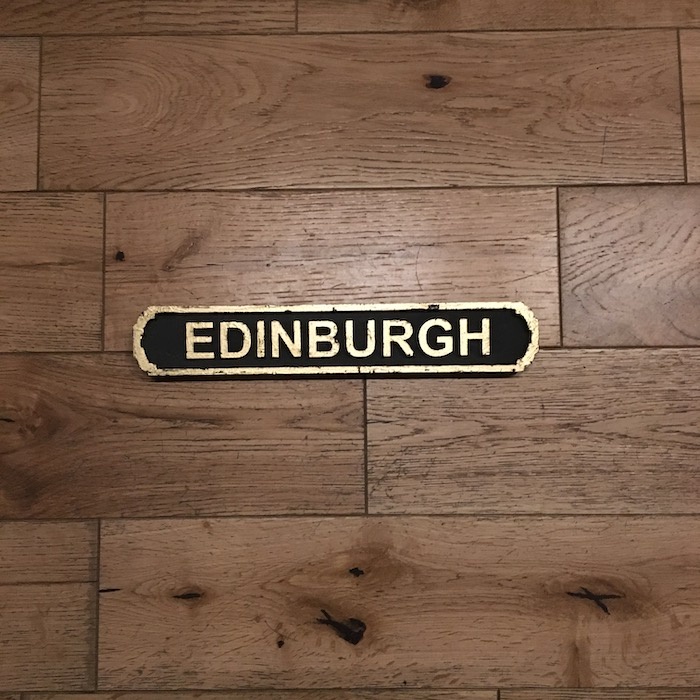 With a black background, this sign has a gold coloured border and the word EDINBURGH carved in gold letters. The gold paint is slightly distressed to achieve a worn look. Size: 30cm x 5cm x 2cm. Stand it on a shelf or sideboard, or hang on a wall using its two rear mounting brackets.